Survivor plots, declaring them to be fit. 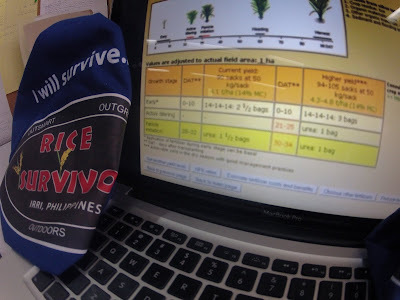 Since my group, the plant disease management group, here at IRRI routinely conducts crop health assessments, including one for Achim and Leigh, I asked Dr. Nancy Castilla to organize an assessment of Team Hayahay's Rice Survivor plots. For this activity we used IRRI's survey portfolio for characterising rice pest constraints. This is a handbook that details a methodology for use in farmers' (and researchers') fields that allows us to gather information in a useful format to characterise the production situations (i.e., how farmers establish a rice crop, how much fertiliser they use, if they spray pesticides, etc.) and data related to the crop health injuries caused by insect and animal pests and diseases and then analyse the data. Saturday we completed weeding. There was some mechanical weeding and then hand weed. We did some ourselves and then had support for completion on Saturday 9 (35 days after transplanting). I felt we were a little late with the second weeding (finishing sections we missed the week earlier due to insufficient water). For weeding water is critical and so alternate wetting and drying was a distraction from getting the weeding done and the fertilizer top dressing. Final top dressing was given on 11th. Is this just at the beginning of Panicle Initiation or not! To help our learning we sampled last Saturday (9th Feb and 35 days after transplanting), Monday (37 days) and this morning (39 days). There has been a change in the appearance of the cross section of the tiller. Today it looked a bit like we have reached PI. We will check again on Friday and also next Monday just to see the complete transition. The decisions of what type of fertilizer to use, how much, and when to apply it are some of the most difficult ones any farmer faces. With this in mind, IRRI has developed a mobile application called the Nutrient Manager for rice. In this episode we meet Weng Castillo of Team Hayahay - the only team to strictly follow the recommendations of the decision-making tool. To learn more about using the Nutrient Manager in the field we recommend this video from 2011, as well as this video from the Agronomy Challenge. Learning as verb. It comes naturally to farmers but can be easy to forget in academia. Research, especially when sub-specialized, quickly becomes esoteric. Horizons tend toward the myopic. Connections only found where you look for them. The IRRI Training Center tries to be the antidote for that. Noel Magor - who heads the training center - does not try to minimize book knowledge, but he does try to maximize field wisdom. When it comes to rice production a good part of the latter comes from muddy feet and calloused hands. Hence, Rice Survivor. 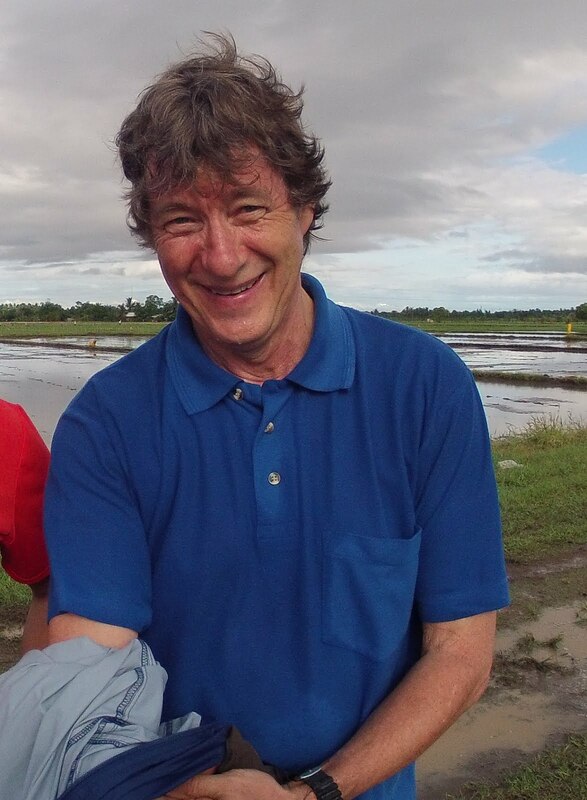 In this conversation with Dr. Magor (recorded January 30, 2013) he makes two references that may be of interest to our readers: Achim's Agronomy Challenge ... Dr. Dobermann is IRRI's Deputy Director General for Research. He and Leigh Vial (Head of IRRI's Experimental Farm) are in their second year of putting IRRI's 'best practices' to the test. Also, the Rice Knowledge Bank , which is where IRRI hopes will become the go-to starting point for anyone who wants to grow a rice crop.